The development of the Boat Industry Strategy for Sri Lanka (Strategy) is a five-year endeavour that was defined through a consultative process between public and private sector stakeholders. 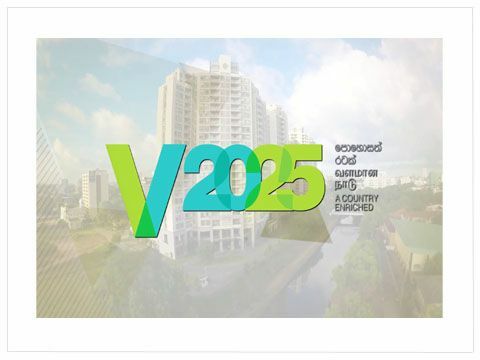 The Strategy’s goal is to turn Sri Lanka into a renowned manufacturer of boats and boat industry products, a popular recreational boating hub and a yacht and marine industry service centre. Achieving this ambitious objective will depend on the boating industry’s actions, monitoring progress and mobilizing resources. Fostering an adequate regulatory environment and creating an enabling framework also are necessary for successful implementation. 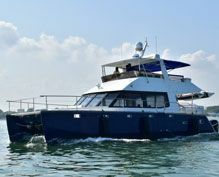 Sri Lanka intends to expand its little-known boat industry – now focused almost solely on commercial vessels – and make the country a renowned recreational boating hub and yacht service centre for the Indian Ocean. 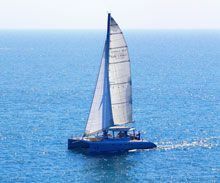 A boat industry includes not only the boatbuilding sector but also after-sales services (including refitting and repair), marina services, associated recreational services such as boat charters and all services connected with the efficient use of any vessel. As a key driver and beneficiary, the private sector is responsible for creating favourable conditions for expansion of the industry. By enabling and supporting private sector operators to develop the sector, the Government of Sri Lanka will support overall development. Sri Lanka’s strategic geographical location at the crossroads of the main maritime routes in South Asia, combined with the Sri Lankan boat industry’s long experience, can make the country an attractive maritime hub that provides a full range of services for a boat’s entire life cycle, including assembly, refuelling, refit and repair for numerous types of boats and seagoing and inland water craft. Currently, Sri Lankan boat manufacturers produce diversified products of differing quality levels to meet the requirements of various markets. Trade in products now made by the Sri Lankan boat industry can still be expanded. Transportation vessels, for instance, are sold to the Sri Lankan, Indian and Singaporean markets but have potential customer bases in Maldives, the Seychelles, Bangladesh and East African countries. 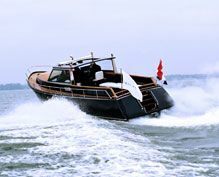 Development of new boat industry products, complementary to the existing manufacturing base, could result in niche manufactured products and activities linked with the expansion of the local and regional boating business. For instance, production of new fishing industry models, namely mother vessels for fish collecting and processing, target regional markets (Sri Lanka, Maldives and the Seychelles). Supply boats for aquaculture target the local, regional and EU markets, and rowing sculls and kayak production is a global niche market in which manufacturers could compete on price and quality. Increased product diversification, however, may require technological adaptation. For instance, expanding production of recreational boats for export to the EU market and to countries with a growing interest in boating (such as Maldives, Singapore, Viet Nam or Kenya) will require updated fibreglass reinforced plastic (FRP) manufacturing techniques and increased promotion in target markets. Adopting updated FRP manufacturing techniques for expanded production of recreational boats in Sri Lanka may lead to larger recreational boating activity, increased delivery of post-sale services and development of associated marina-based businesses. Prioritizing the creation of a new waterfront export processing zone (EPZ) and industry clusters for boatbuilding, repairs and related services will support expanded production and will facilitate boatbuilding, testing and launching. This will attract both new investment in boat facilities and international boat operators requiring services such as boat parking and maintenance. Key opportunities for the boat industry lie both in boat manufacturing and in creating links with other sectors so that the requirements of the entire boating value chain can be met. Hiring one direct employee in boatbuilding generates seven additional indirect employment opportunities. For the Sri Lankan boatbuilding industry, there are obvious connections to sectors such as electronics, information technology (IT) and logistics. Possibilities also exist for production of boating materials and equipment such as marine electronics and marinerelated software, interior equipment, furnishing, materials and electrical fittings, machinery, propulsion units, mechanical systems, resins, paints and rubber accessories, which can be produced locally or even exported. Boating tourism represents a major untapped opportunity for the national economy. Sri Lanka’s coasts and sea/weather conditions make the island an excellent charter destination, with the possible expansion of boating and sailing tourism and marina services provision. Investment through public-private partnerships to install basic marina facilities will enable marina operators and charter companies to provide services around the island for vising yachts and recreational craft. Boating tourism development will spur a variety of subsectors, namely water sport rental, inland boat hire, sailing schools and training and whale and dolphin watching. However, the industry faces constraints that need to be addressed in the short-to-medium term in order to facilitate rapid industry growth. Updating regulatory frameworks, providing marketing and promotion support, expanding existing capacity of boatyards and dockyards and improving overall industry coordination will create an enabling environment for boat industry development.